Despite such a winner’s naming scheme, the EVGA X99 FTW actually represents the mid-tier in their enthusiast lineup. It sits between the X99 Micro2 which offers a limited set of enthusiast-level features in a smaller uATX form factor, and the X99 Classified that offers top of the line performance and features at an enthusiast price. The EVGA X99 FTW is aimed at bringing enthusiasts a good balance of the features they’d expect from EVGA, but at a more affordable price when compared to the Classified – at the cost of some extra bells and whistles, of course. What bells and whistles are we talking about here? Well, for starters the 10-phase all digital power design found on the Classified has been reduced to a decidedly less beefy 8-phase version. Likewise, the Creative Core3D audio processor found on the Classified has also been stripped and replaced by a much more mundane Realtek ALC1150 chip. It’s not all bad news however, as the FTW manages to retain the 4-Way SLI capability found on the Classified, as well as the support for up to 128GB of DDR4 memory and dual Intel Gigabit NICs. 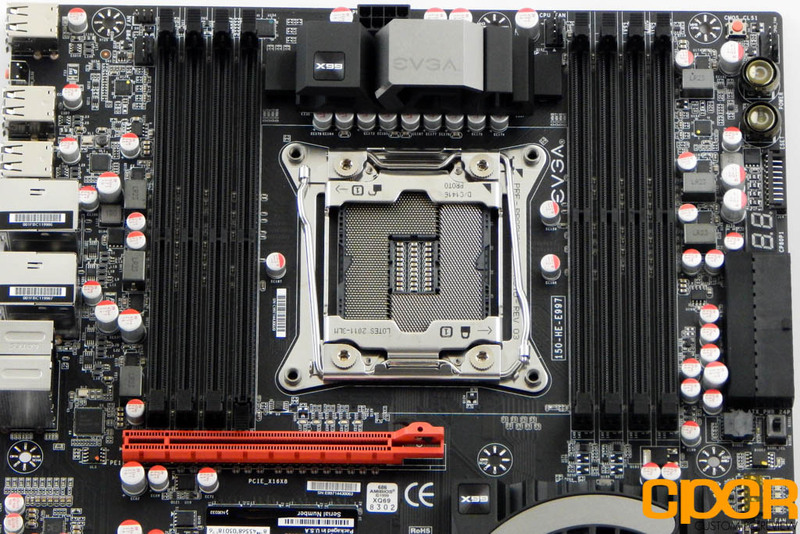 Looking at the specifications here, the EVGA X99 FTW certainly has all the features of a very full featured motherboard – exactly what we’d expect from a mid-tier X99 motherboard. 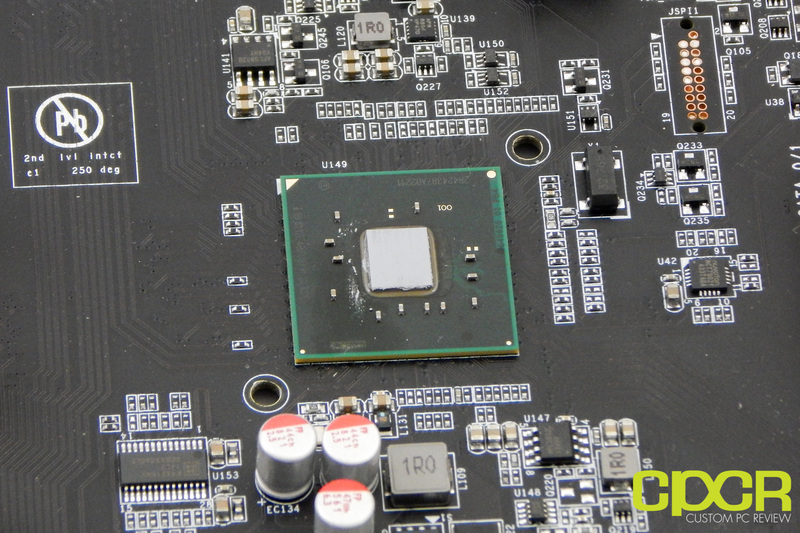 While the Intel X99 HEDT (High End Desktop) chipset is no longer the newest chipset from Intel, quite frankly it isn’t missing much from the mainstream Z170 chipset that was debuted earlier this year. 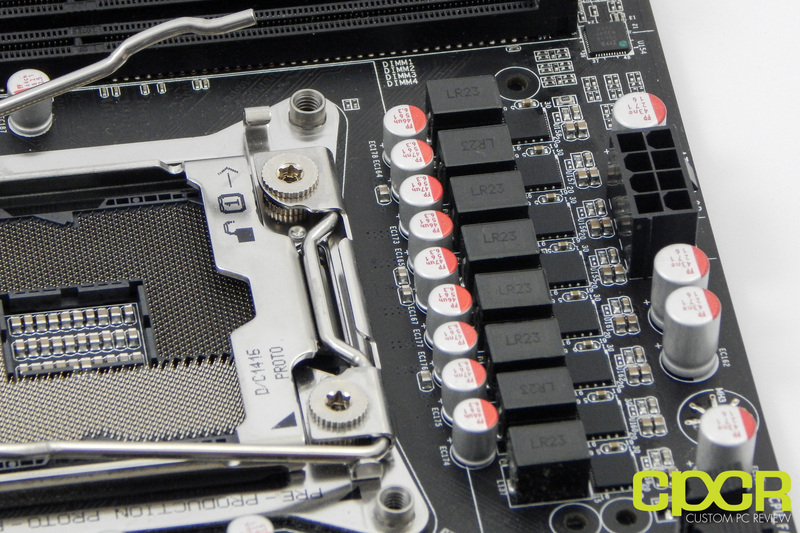 Let’s go ahead and take a closer look at the EVGA X99 FTW! 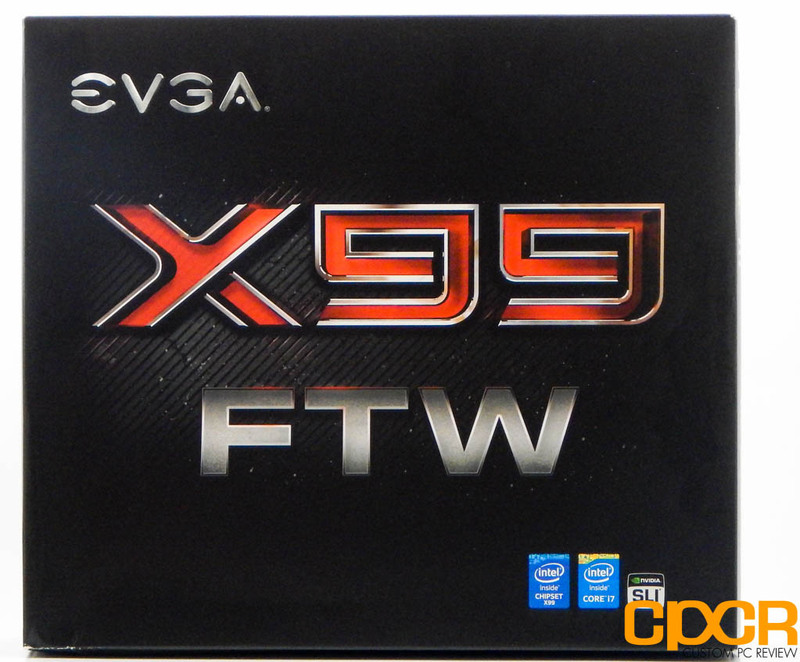 Here is a look at the packaging for the EVGA X99 FTW. On the rear of the box, we can see EVGA listing off their specs with some nice shots of the board. 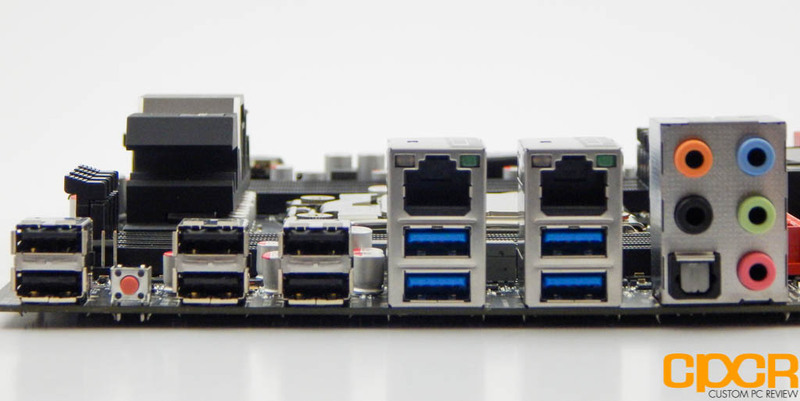 Our board comes included with 6x SATA cables, 1x 3-way SLI bridge, and 1x 2-way SLI bridge, standard manuals, rear I/O Shield with a very nice rear I/O cover and leads for accurate voltage testing. 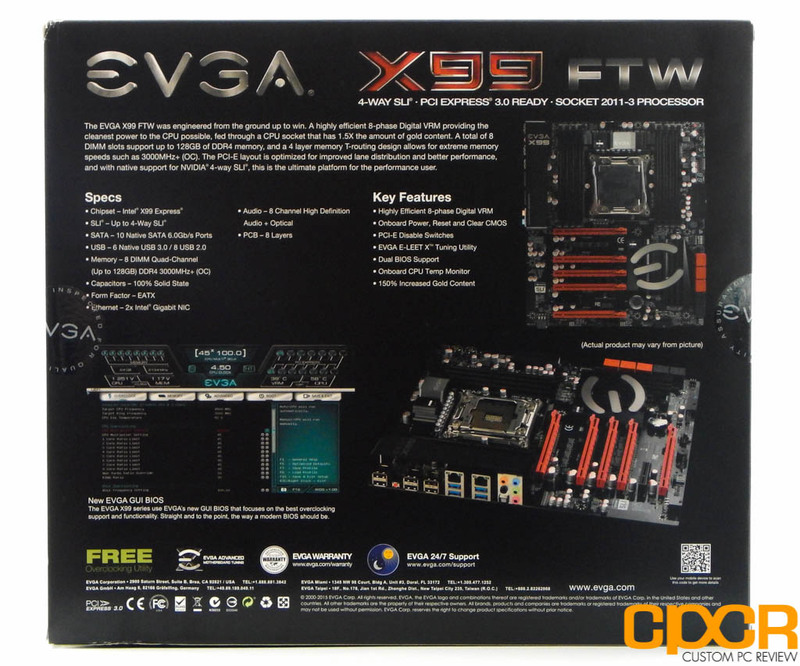 The EVGA X99 FTW motherboard is an EATX form factor motherboard which features Intel’s X99 chipset. Intel’s X99 chipset supports Intel’s socket LGA 2011-3 processors. 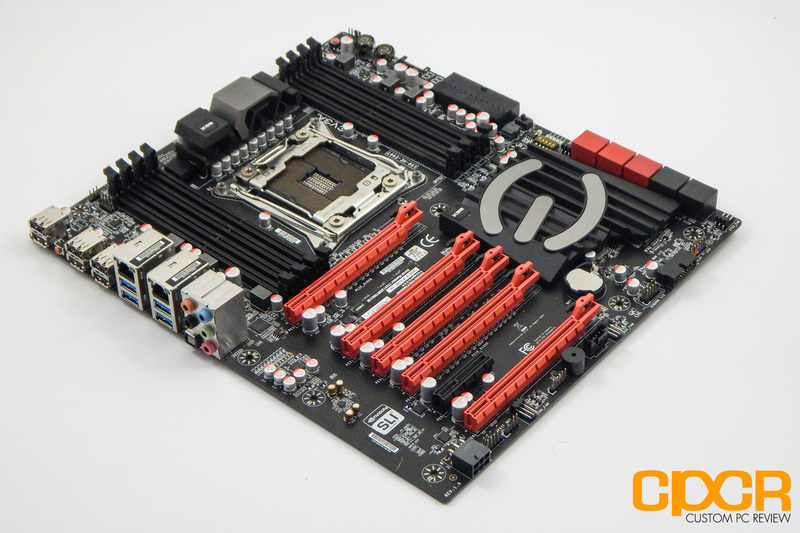 This board has a slick black PCB with red highlights and the EVGA logo plastered in gray on the southbridge heatsink. In my personal opinion, this looks a bit nicer than the red they used on the classified board. Furthermore, taking a quick glance at this board you can see it’s relatively filled with features, which is something you’d generally expect on a $300 board. 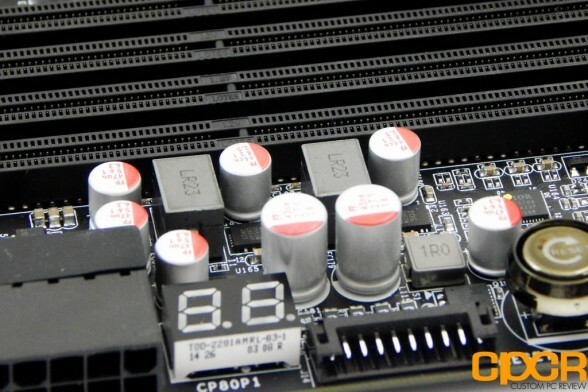 Taking a look at the motherboard, underneath the sharp-looking EVGA VRM heatsink lies an 8-phase all-digital power delivery system featuring an International Rectifier 3563b controller. While this may not seem like much compared to the 12 or 16 phase power delivery systems we’ve seen in the past, digital power delivery systems are significantly more efficient and provide better power regulation thus reducing the need for additional power phases. In our experience, similar boards with even 6 phase digital designs do reasonably well when it comes to voltage stability and overclocking. 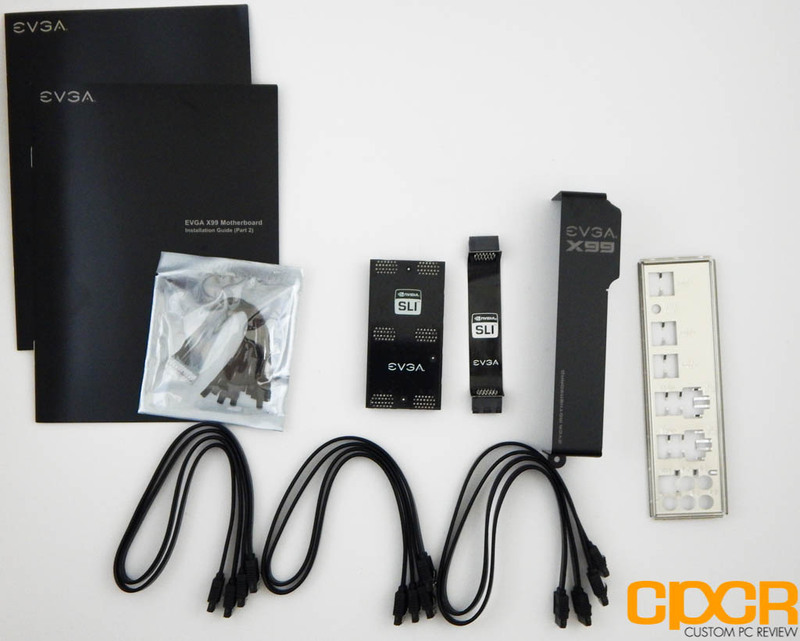 EVGA has given us a quite the feature-packed board with 5x PCIe slots, 10 USB ports, as well as 10 SATA ports. We also have a total of 7 fan headers included, 3 of which are PWM while the remaining 4 are DC. The capacitors are an all solid Japanese capacitor design made by Nichicon, which is known for making high-grade capacitors. 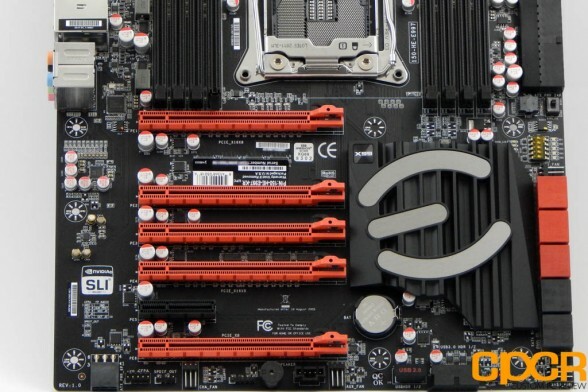 This motherboard has support for up to 128GB of quad-channel DDR4 memory via 8 DIMM slots, so four DIMMs must be installed to take full advantage of the memory capability. EVGA specifies a maximum frequency of up to 3200MHz (OC). These slots are a stealthy all black, so color coding isn’t here, although there is a diagram on the side of the board should you get confused. Of course, you could always check the manual as well. Here’s the standard 24-pin connector, which is right-angled for better hiding cable clutter, though I had issues getting the cables to fit properly in my Phanteks Enthoo Luxe case as the cutouts are positioned above and below the 24 pin connector. 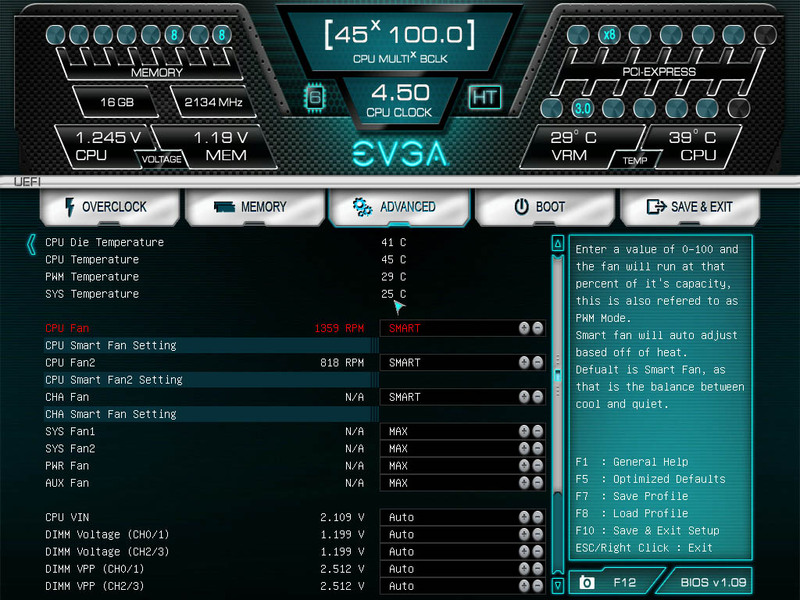 EVGA has also included Power, Reset and clear CMOS buttons, as well as debug LED on the top right which doubles as a CPU temperature gauge when the system is running, which is great for troubleshooting as well as using in an open test bench. 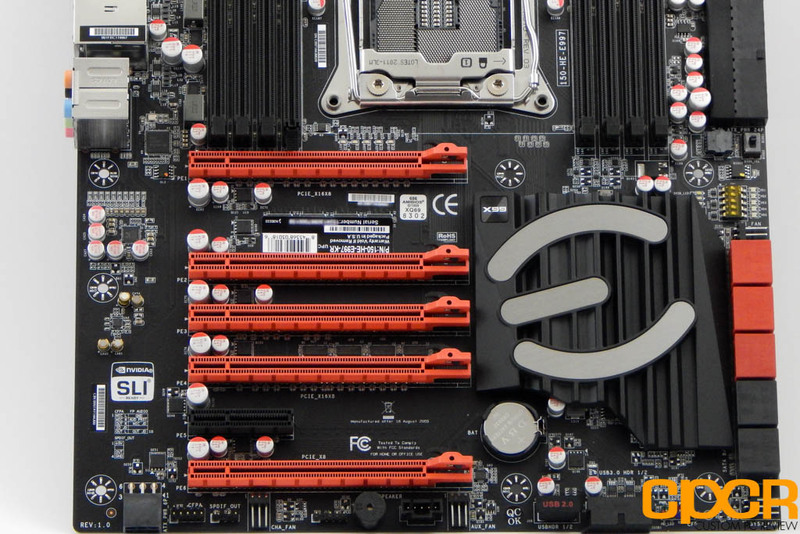 For storage, our EVGA X99 FTW includes a total of 10x SATA ports, which despite the color-coding are all claimed to be rated for 6Gb/s and running natively. 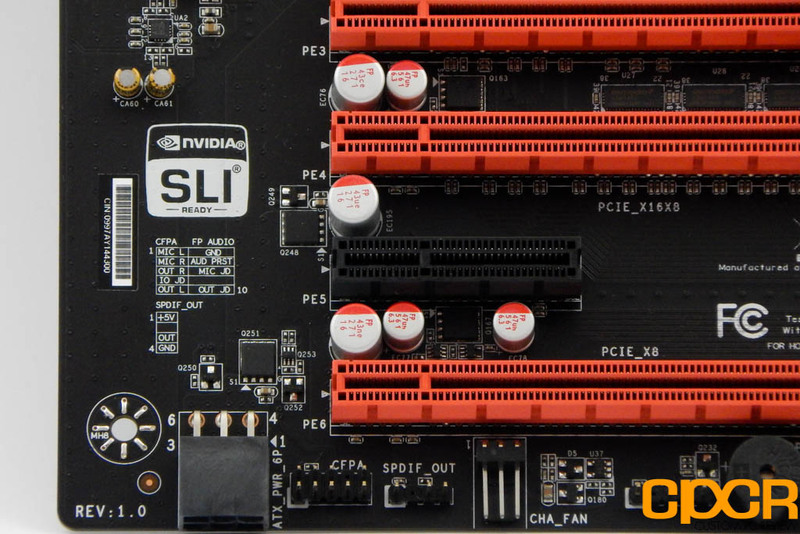 This would make sense, as the X99 chipset does natively support up to 10 SATA 6Gb/s ports, but doesn’t explain why EVGA would choose to color 4 of them differently from the rest. Oddly enough, this board does not include the standard M.2 port seen on almost all X99 boards, nor does it include SATA Express. 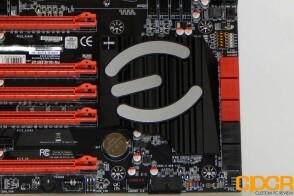 Considering the decent availability of high-performance PCIe SSDs, the decision to forego an M.2 slot is quite unfortunate on a high-end board such as this. On the plus side, we do have 5x PCIe 3.0 slots, which with a 40 lane compatible processor, all allow up to x8 speeds, so Quad SLI/Crossfire configurations are encouraged. For a more detailed breakdown, EVGA has an FAQ explaining it. We also have a single PCIe 2.0 slot running at x4, this would be useful for things like sound cards, or additional USB/SATA cards. The PCI Express slots are flanked by EVGA’s chipset heatsink, which has a black and gray design, which goes well with the style of the motherboard, I prefer this over the red ‘E’ logo that found on the Classified, as this version is a bit more understated. 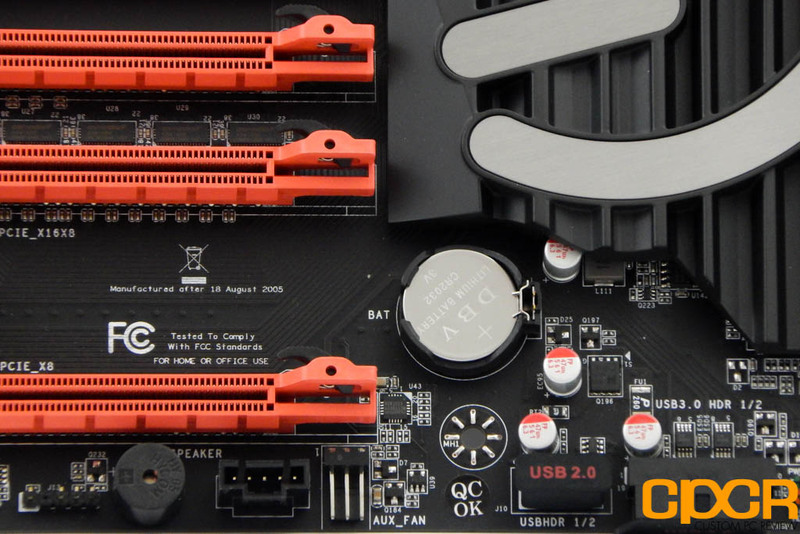 Below the ATX 24-pin connector, we see our dual-BIOS chips as well as the dip switch for selecting between them. 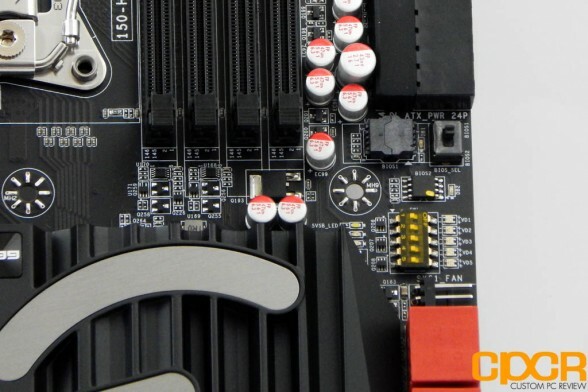 We’ll also find a set of PCI express switches, which allows the user to manually disable the individual PCI slots, which would help during troubleshooting. 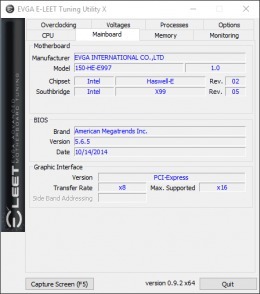 For audio, EVGA is using the Realtek ALC1150 audio chipset, which is fairly common. 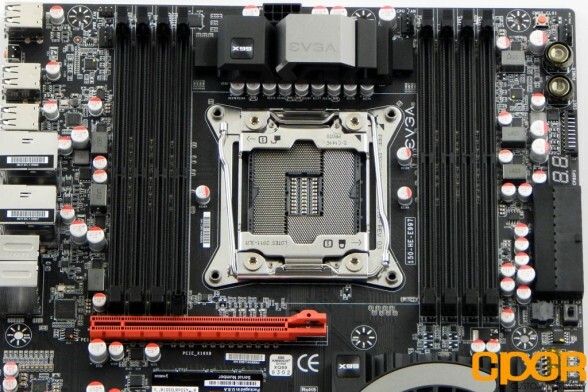 Unfortunately while most other vendors offer extra shielding, segmented motherboards, interchangeable op-amps, or raised audio chips to prevent interference, EVGA doesn’t seem to have done much in that regard. Personally, I can say for most people it isn’t really necessary and seemed quite solid with my Sennheiser HD 280 Pros since the ALC1150 does a great job in and of itself. Bottom line, the onboard audio will satisfy the needs of most users and anyone who demands more will likely already have invested in an external DAC of some kind. Here’s a look at the bottom of the EVGA X99 FTW. 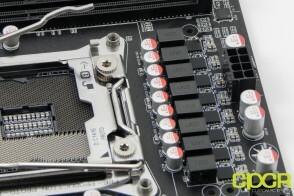 Starting from the left, we get an extra 6-pin power connector, if additional power is needed for the GPUs, front panel connector, system fan header, Case speaker, COM port header, another fan header, USB 2.0 header and USB 3.0 header, with a right angle connector, this is done for better cable management, although for myself didn’t allow me to use the header since it came up against the rubber grommets in my Phanteks Enthoo Luxe. 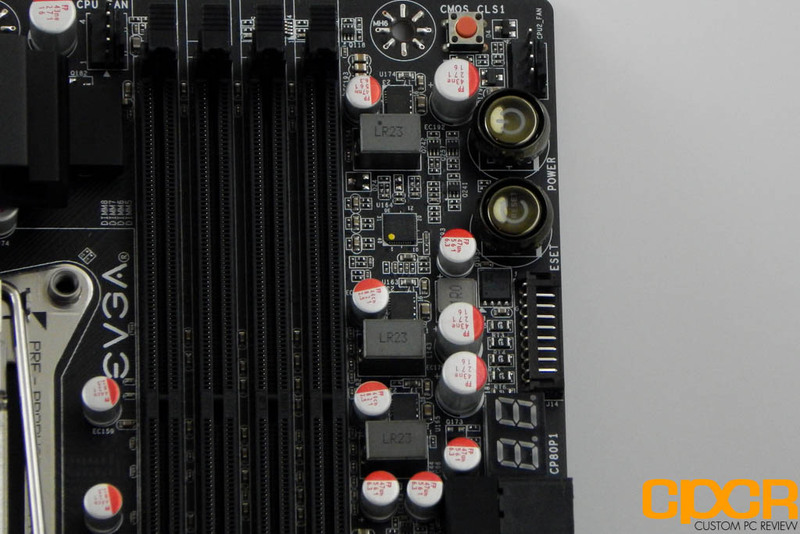 This may be an issue for you as well, so make sure to check for clearance on the bottom of your case before buying this board. On the rear of the board, we have, 6x USB 2.0 ports, a BIOS reset switch (really useful when troubleshooting/overclocking) dual Intel gigabit ethernet ports, and your standard audio outputs. Here’s a look at EVGA’s latest UEFI Bios. 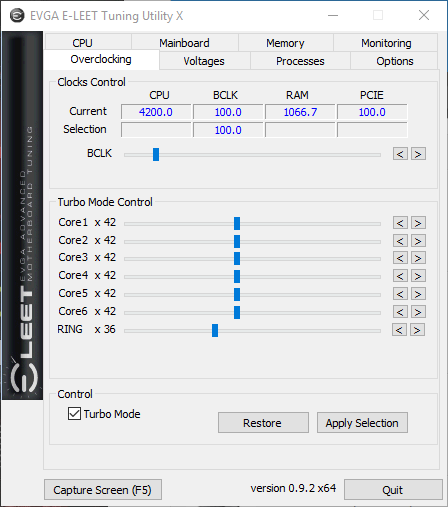 The overclocking options are on the left most tab, followed by the memory, advanced boot and save and exit. EVGA’s UEFI was unveiled on the older Z87 models and compared to what I remember from the Z87 Stinger, this board makes huge strides in functionality simplicity and generally just better. 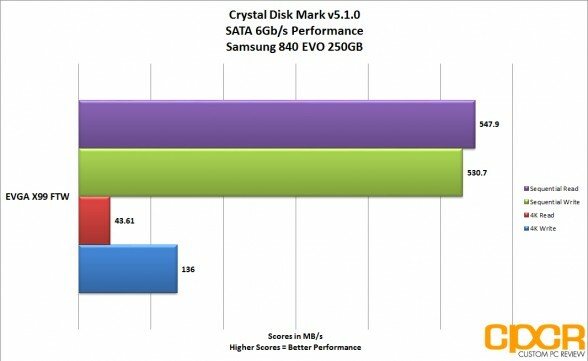 While this may not be as polished or user-friendly as its competitors like Gigabyte or MSI it is still miles ahead of previous iterations. 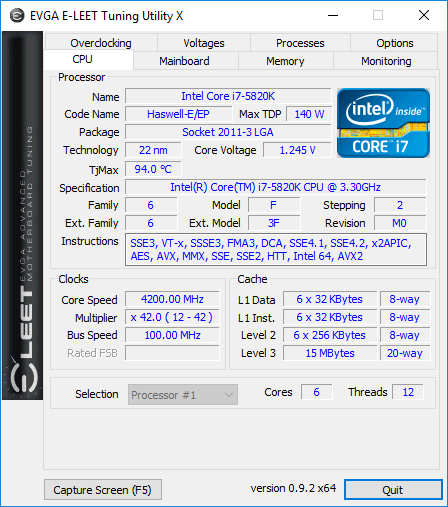 In our first overclocking run, we were easily able to achieve 4.4 GHz stable off a 100MHz base clock. Although 4.5 GHz booted fine, we did experience thermal issues. EVGA allows all the standard features you would expect for X99, like Core ratio limits for turbo mode, RING Ratio, and all of the necessary voltage modifiers. A nice touch would be the pane on the right-hand side, which explains what each function does, this is great for those who need a quick refresher or are somewhat new. 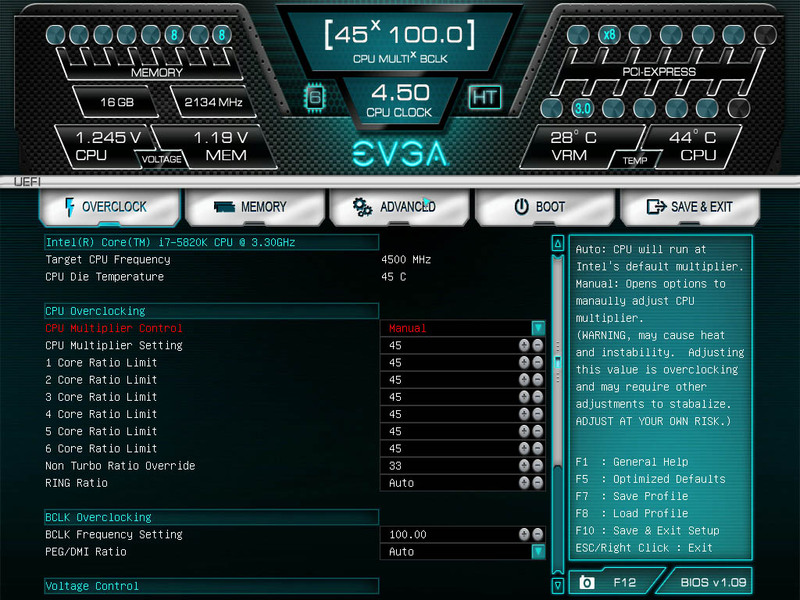 The biggest thing missing here is a lack of “Easy OC” type features, although I would argue that preset overclocks are always weaker than manually overclocking, so I can’t be too critical since most modest OCs are rather easily attained by just adjusting the multiplier on X99, so long as you have sufficient cooling. 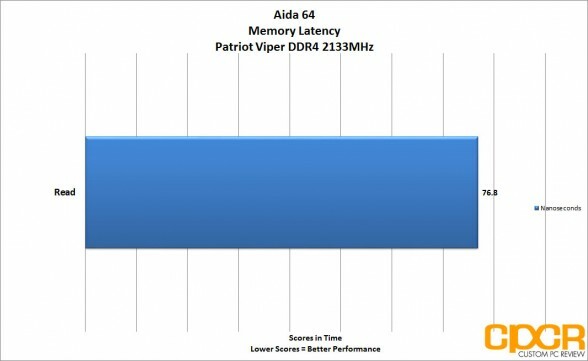 On the Memory side we have our XMP profiles which we had a bit of trouble with our overclock, so we ran our tests at 2400MHz at a standard 15-15-15-36. 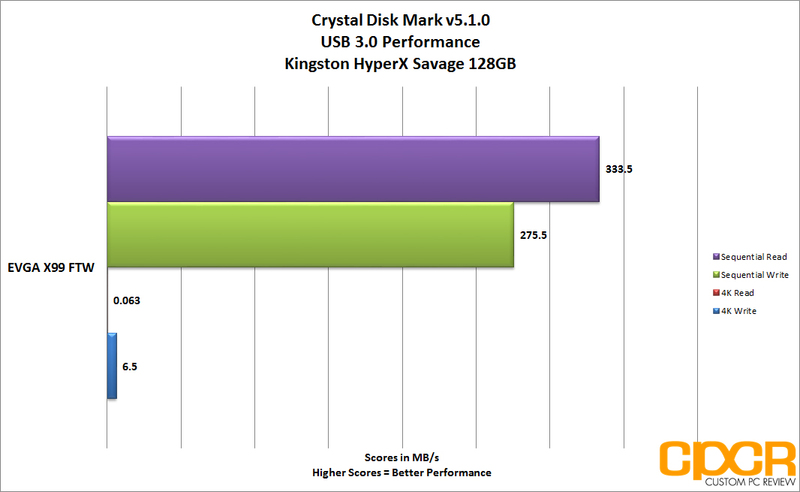 Although upon further tinkering we were able to get better performance, which I will explain better in a future review. Here in advanced, we have our configurations, things like CPU C States, PCIe and SATA options for legacy and power management for sleep are all here. 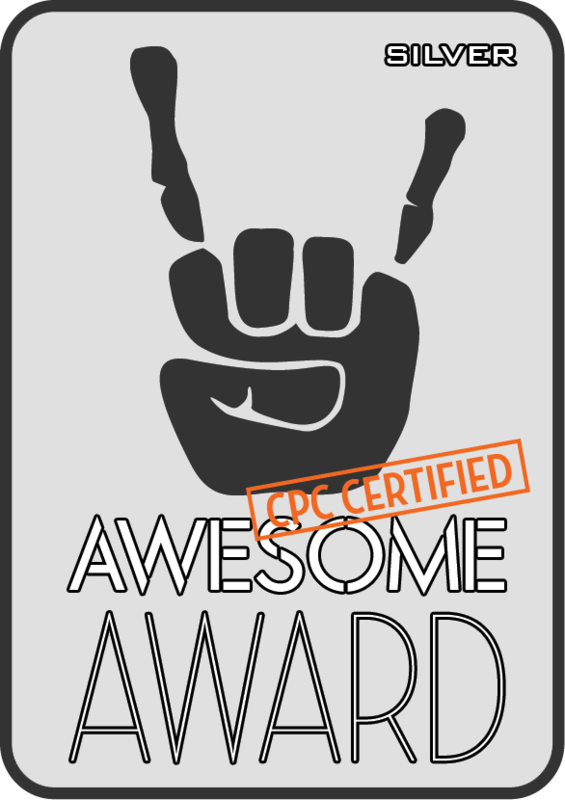 Finally, in advanced we have our fan settings and hardware monitoring software. All in all, this is a solid improvement over previous generations but definitely not the most cutting edge or feature packed UEFI around. Although this does have all of the necessary features and I was able to get a solid overclock out of it and that is what most users would want anyways. The included E-LEET Tuning utility is EVGA’ s system monitor solution. It’s used to monitor your system status, change motherboard settings in Windows such as CPU frequencies, voltages, RAM frequencies, fan settings etc. The information it presents is quite detailed. 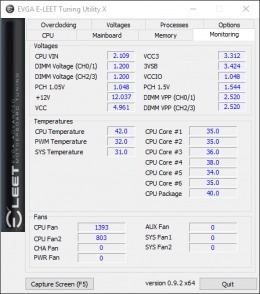 It grabs information about voltage settings, clock speed, and thermal settings. 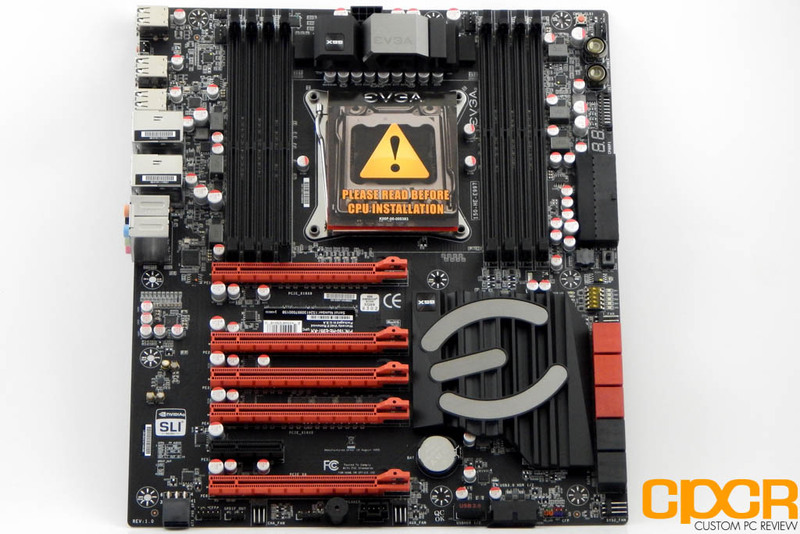 Unlike MSI, Gigabyte, or ASUS’s motherboards we have no one-click overclock option. Some may take issue with that, but I personally have never had good experiences with features of the sort. 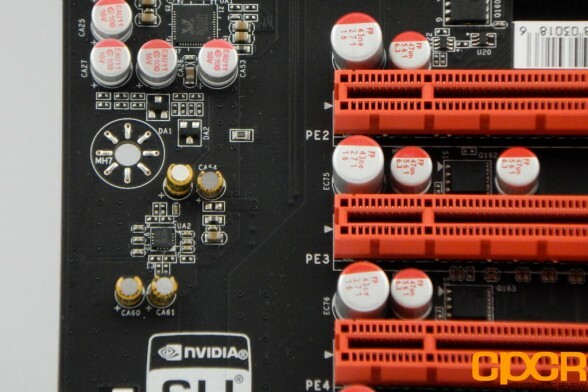 Most auto-overclock algorithms opt for stability when boosting clock speed which usually involves increasing the voltage to more than what’s actually needed. 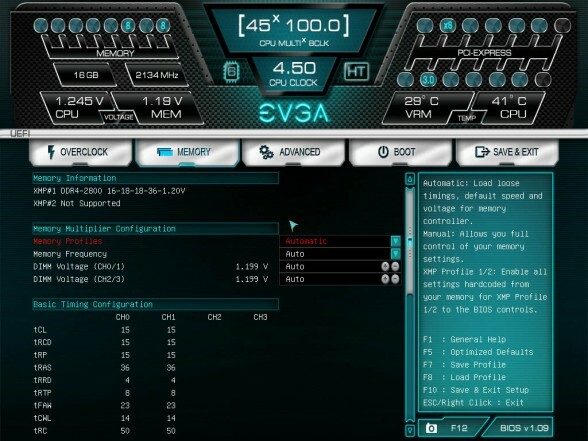 When working in the manual overclock portion, I was able to push out 4.2GHz using the EVGA E-LEET, but was met with system lockups pushing the system any further. I’m not quite sure why this is, but personally I found much better success overclocking through the UEFI BIOS. The voltage tab is similar to the Overclock tab, although using the drop down menus instead of sliders. As mentioned before, it is a bit more finicky when using this software than just using the UEFI. 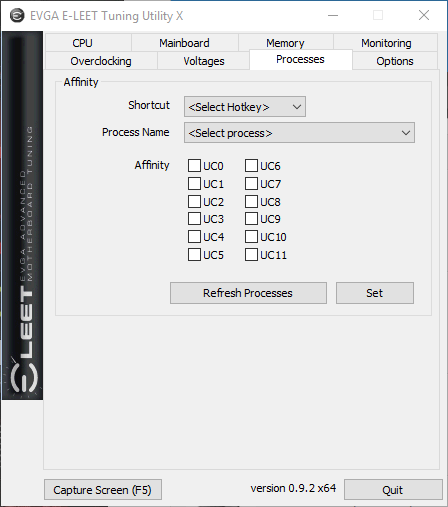 One of the nicest features about E-LEET is its ability to change core affinity, allowing users to manually assign apps to specific CPU Cores. 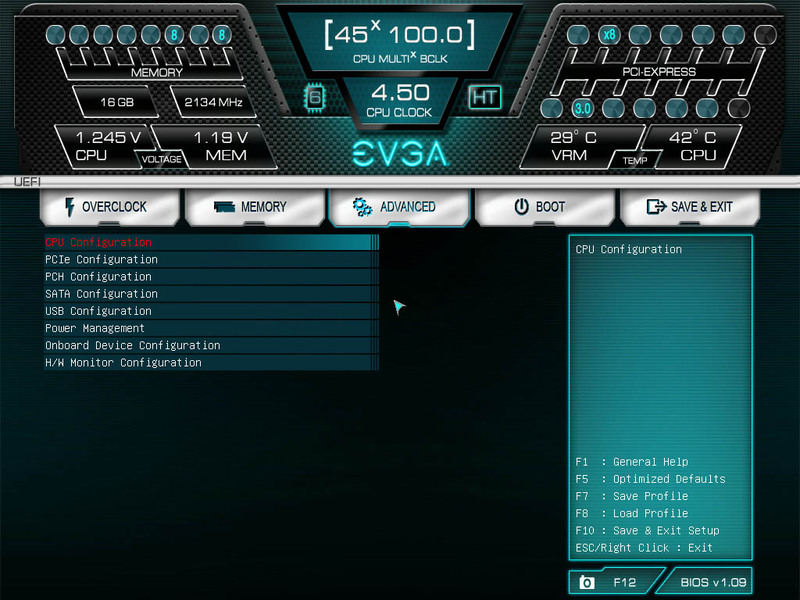 This is actually a feature available through the Windows Task Manager, but EVGA has provided an easy to use interface, rather than having the user dig through a long trail of settings. This is fantastic for those who multi-task while gaming or have games that need core affinity turned on to properly work. This scores bonus points with me. Overall it is a nice addition, but lacks the polish of other utilities we’ve seen from competitors such as ASUS, Gigabyte and MSI. 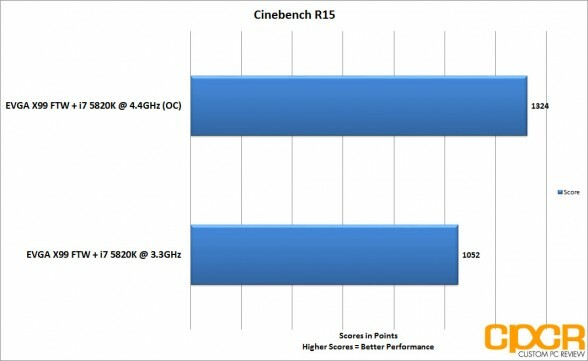 CINEBENCH is a real-world cross-platform test suite that evaluates your computer’s performance capabilities. CINEBENCH is based on MAXON’s award-winning animation software CINEMA 4D, which is used extensively by studios and production houses worldwide for 3D content creation. MAXON software has been used in blockbuster movies such as Iron Man 3, Oblivion, Life of Pi or Prometheus and more. 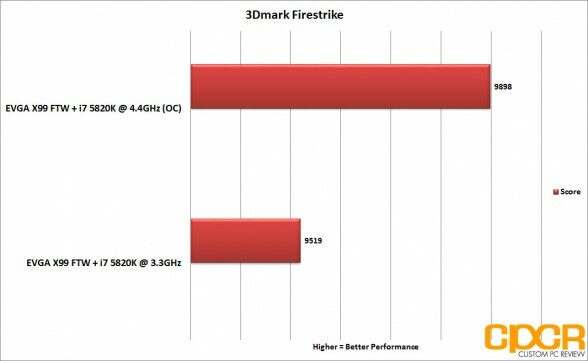 Our 33% overclock gets a just under a 30% boost in performance here. 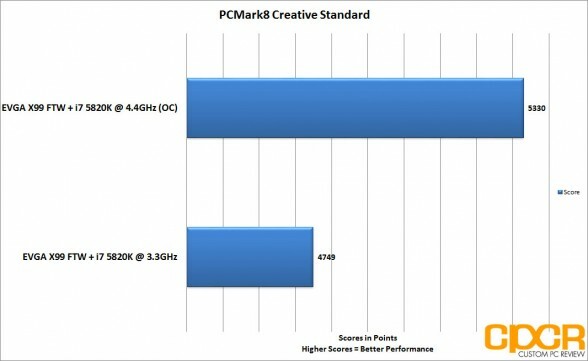 The PCMark 8 Creative benchmark includes workloads typical of enthusiasts and professionals who work with media and entertainment content. With more demanding requirements than the Home benchmark, this benchmark is suitable for mid-range computer systems. PCMark 8 Creative includes web browsing, photo editing, video editing, group video chat, media transcoding, and gaming workloads. This time, we see a 12% boost, not as exciting as Cinebench but PCMark, in general, doesn’t show a huge increase in clock speed differences. This test is the same as before, only this time with OpenCL enabled, to allow higher performance. This time, we see an increase of around 9% which makes sense since this benchmark includes the GPU and relies even less on the CPU. 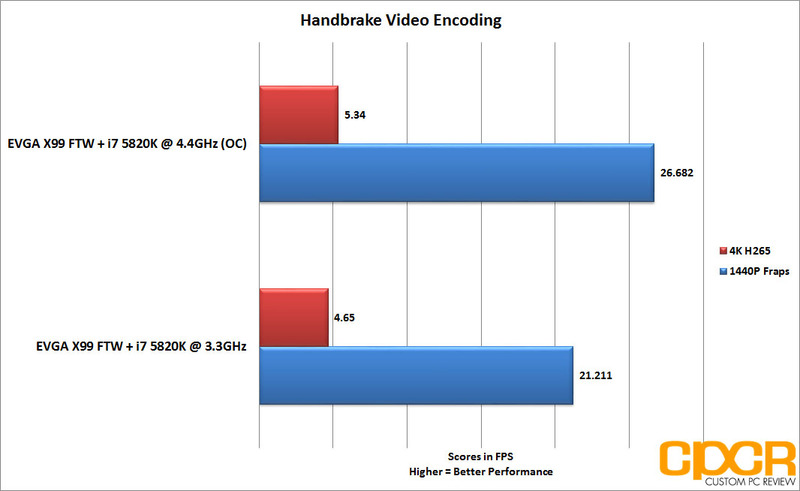 In our 4k H265 test we see a 15% jump in rendering once overclocked and a 25% jump when encoding a 1440p FRAPS video file. 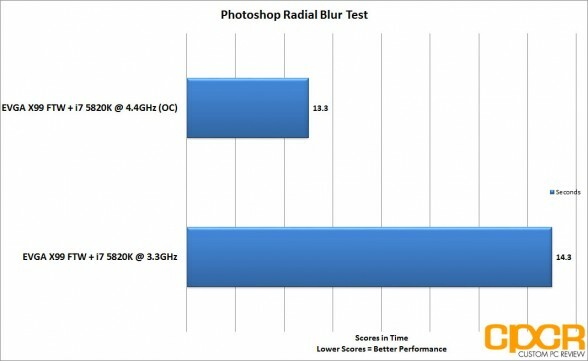 In Photoshop, we see a roughly 9% performance increase when OC’d and this is somewhat disappointing although our low clock speed on our RAM may have affected this. WinRAR is one of the most popular archiving software on the market, for our testing, we simply use the built in benchmark and record Compressing speeds. 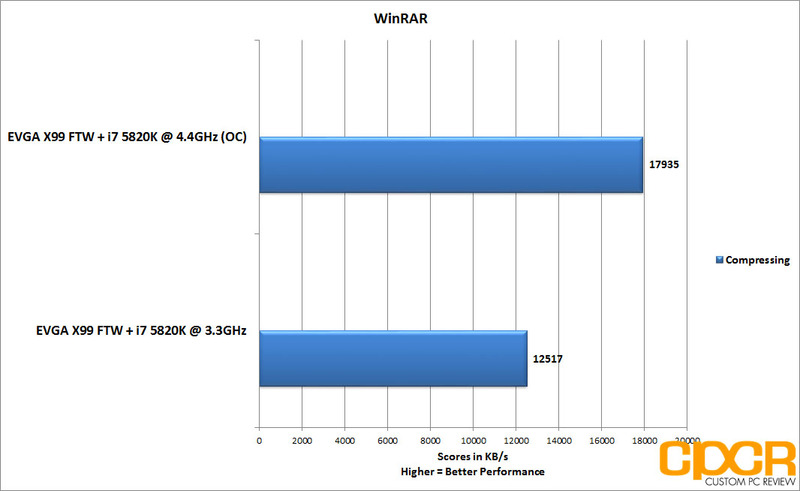 In our WinRAR benchmark, we see a massive improvement of 44% once overclocked. 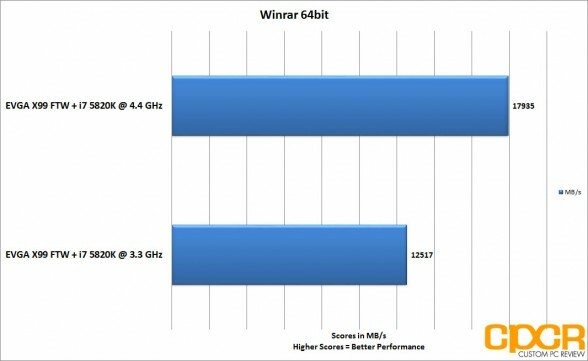 We see WinRAR is massively CPU bound and overclocking allowed a great increase in performance. 7-Zip is the alternative to our previous benchmark WinRAR and is a very successful and open source alternative. 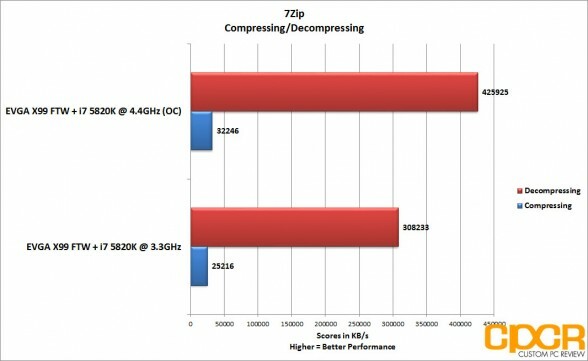 In decompressing we see a huge performance gain, around 38% once overclocked and in compressing we see a gain of 30% after our overclock. Looking at 3dMark Firestrike we don’t see much of a change from stock to overclocked settings since the test itself is very GPU bound. Rainbow Six Siege is one of the most popular shooters out today. Using Ubisoft’s AnvilNext2.0 engine This is a solid benchmark, as it has very solid multicore support and quite well optimized. Our benchmark uses the built in tool which does a flyby through the “House” map as explosions go off and lighting and particle effects fill the screen. We don’t see much of a change in performance here, and even at medium settings, we notice it play rather similarly. For this game, we aimed to hit a high frame rate since as a competitive shooter, many users would be using high refresh rate monitors. The hotly anticipated PC release of Rockstar Games’ fifth installment of their Grand Theft Auto franchise, easily proves once again, that when it comes to open-world games, no one does it better. With lots of new features and graphical enhancements built specifically for the PC version, it’s no wonder it took them so long to optimize it. With advanced features such as tessellation, ambient occlusion, realistic shadows, and lighting, mixed with the largest open-world map in franchise history, this is one beautiful, well-optimized PC title. 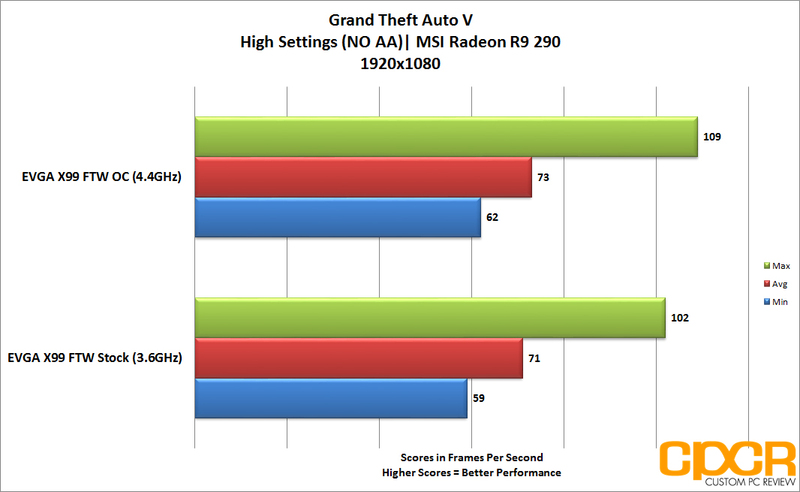 We test Grand Theft Auto 5 using the last scene in the game’s built-in benchmarking tool. 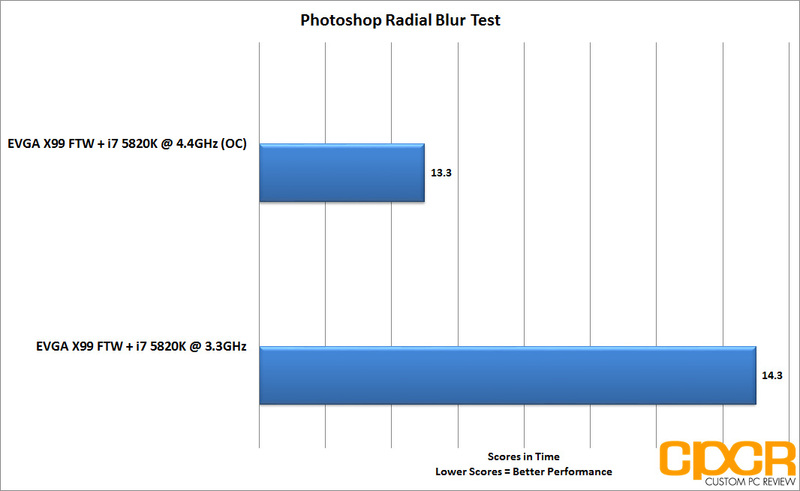 We test on ‘High’ settings with Anti-Aliasing turned off. The story seems the same, our overclock didn’t affect performance much with all changes being under 5% this may be due to how well GTA handles multiple cores, however, that is a different article entirely. 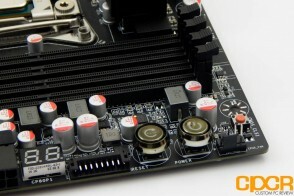 Since motherboard CPU, memory, graphics performance is mostly tied to other components as well as the specific motherboard settings (frequency, BCLK, etc. 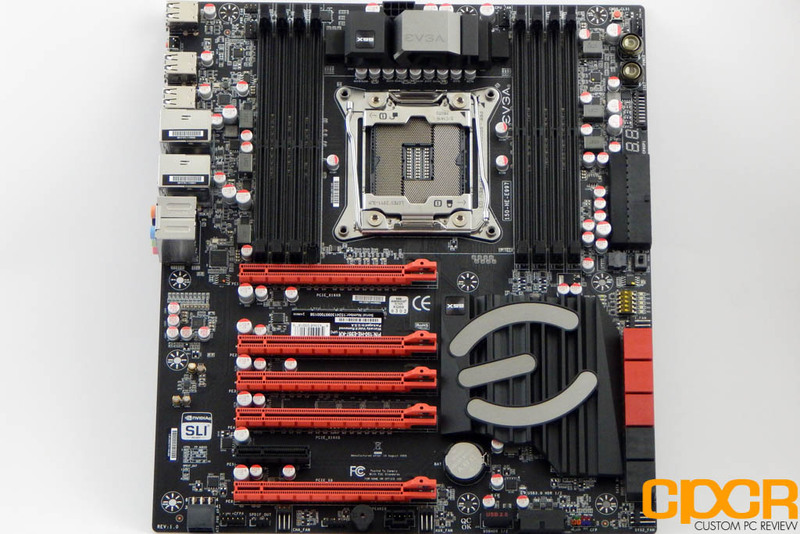 ), we’re mostly looking for our motherboard to be consistent in performance in comparison to other motherboards using the same components. 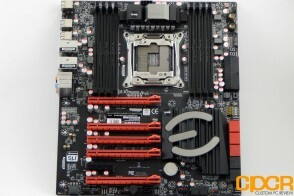 Usually, we’d test against a variety of X99 motherboards. 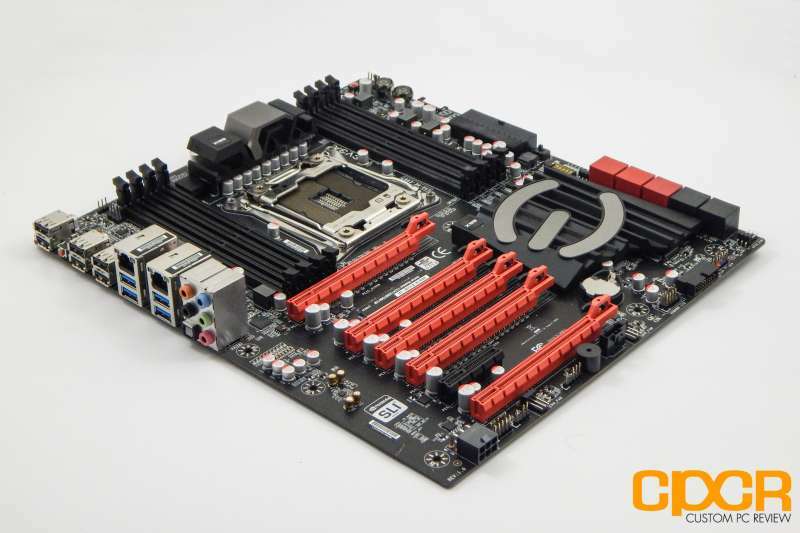 However, this being the first X99 motherboard review at CPCR, we don’t have anything to compare it against today. That said, with the launch of new 2011-3 CPUs, we will be looking at many more X99 motherboards in the future. 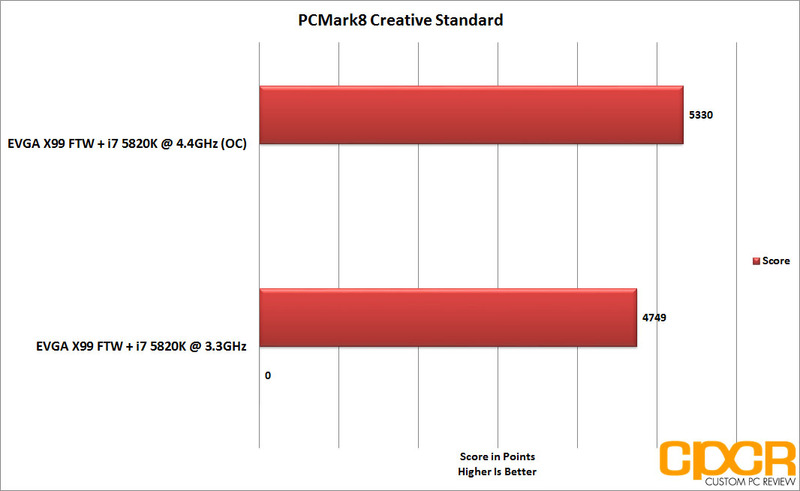 Still, performance for the X99 FTW is mostly what we’d expect, with nothing standing out too much. 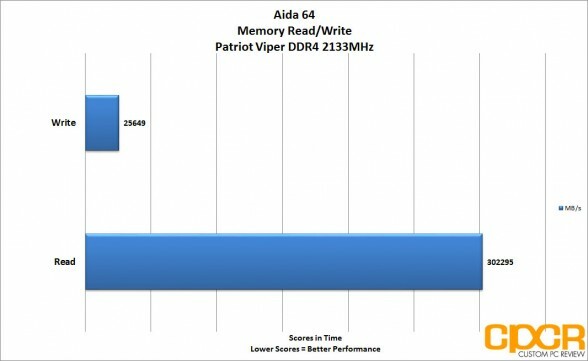 As far as stability, I didn’t notice any issues with the motherboard in my testing, the VRM is quite well made and performs solidly. With testing out of the way, let’s wrap up this review. Overall I was relatively happy with the board. In my overclock testing, I was easily able to achieve 4.5GHz although my overclocking was limited by my thermal solution. That being said, other users online have reported hitting around 4.5GHz on a 5960X and 4.7GHz to 4.9GHz on the likes of a 5820K. 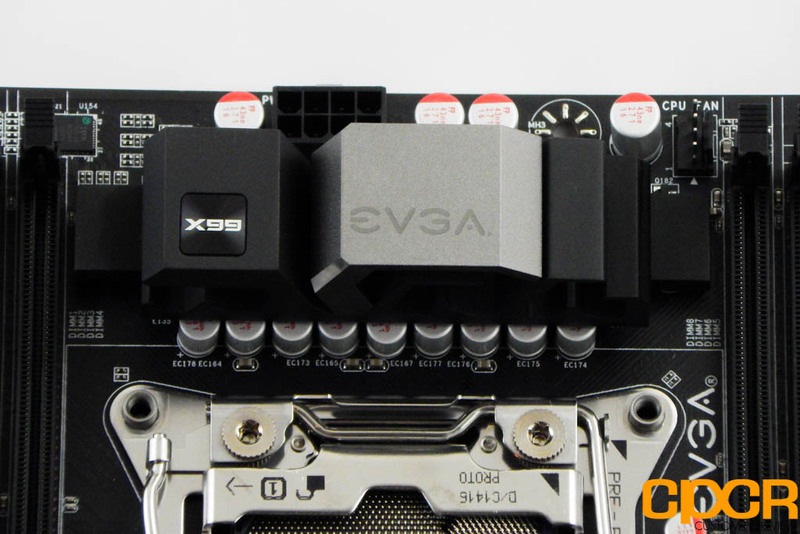 The 8-phase power design included in the EVGA X99 FTW proved to be more than capable for most overclocking. I would definitely strongly recommend going with liquid cooling. 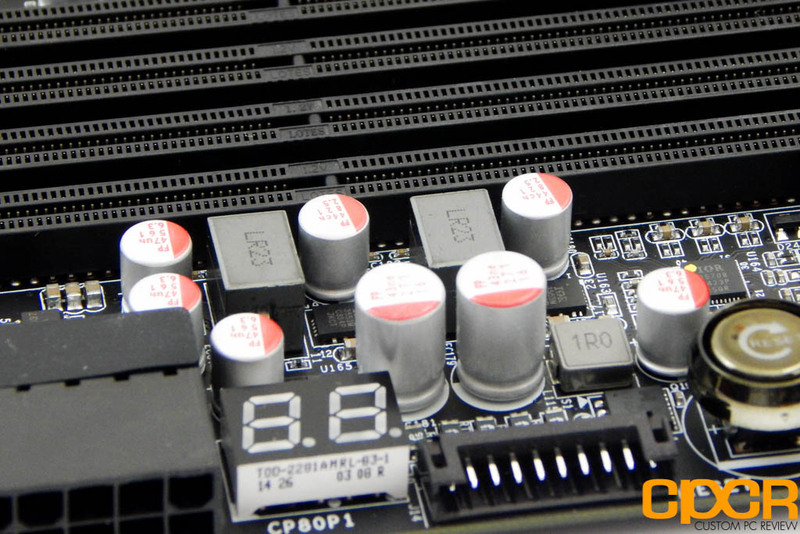 With the board being crammed with so many features, you may have trouble installing larger CPU coolers such as the Phanteks PH-TC14PE which completely blocked the first PCIe slot. Though the slots below it are still full x16 slots, this still presents a problem if you’re planning on installing multiple GPUs. While it’s difficult to find many features missing on the EVGA X99 FTW, one of the things I found curiously missing is the lack of an M.2 capability for a board at this price point. Perhaps this is a feature that EVGA believes that the targeted audience for this motherboard may not miss, but at just under $300 it’s hard to find a reason it isn’t included. 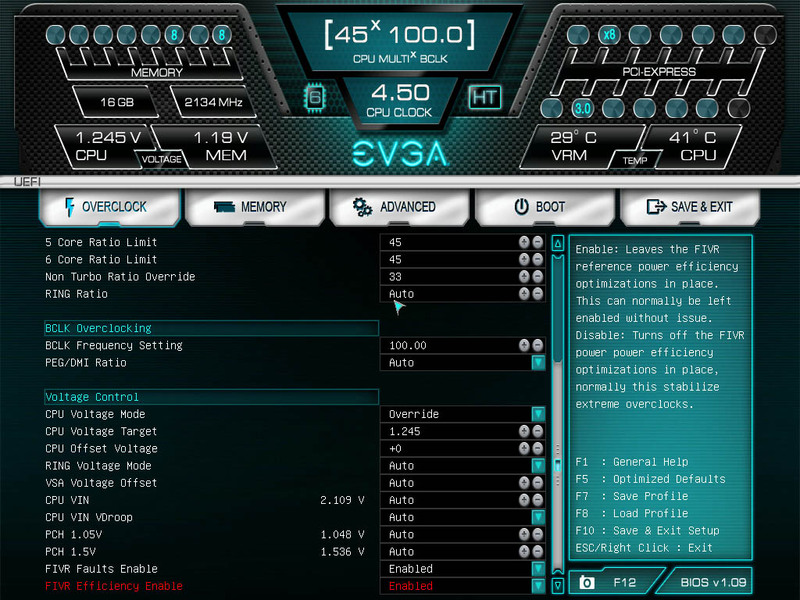 EVGA does include this feature in its top of the line Classified edition however, it is a feature available in numerous competitors in the mid-range X99 motherboard space. Some more personal gripes for me would be the rather unfortunate placement of the USB 3.0 header, being placed perpendicularly to the bottom of edge of the board makes it difficult (if not impossible) to install in many of today’s newer cases. The reasoning for this may be for easier cable management, but for me it means I cannot use my front panel USB 3.0 header. That being said, the board is very aesthetically pleasing, from the color palette to the inclusion of the I/O cover, it is definitely something that looks pretty inside your case. 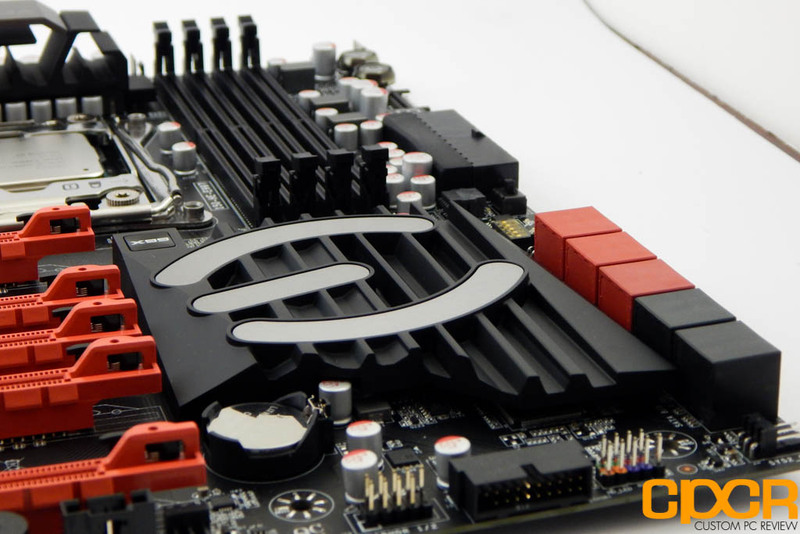 It is built with top quality components and features everything the high-end enthusiast gamer could want. From 4-Way SLI capability to an advanced all-digital 8-phase VRM which should allow for some fairly hefty overclocking. The debug LED which doubles as a CPU temperature monitor is brilliant as it gives users the ability to quickly check temperatures while in-game, without the need for additional software. Since I received this board pretty late into its life cycle, I’ve had absolutely no driver related bugs or BSODs. Testing the board with a variety of different hardware wasn’t much of an issue at all either. Researching online, I did read of some bug reports earlier in its life but all issues seemed to have been ironed out. EVGA does tend to be fairly committed to giving their users the best experience possible with their motherboards, which has culminated in significant improvements in their BIOS/UEFI interface. The EVGA X99 FTW is generally available at various e-tailers for around $299.99 which is a bit steep for most mainstream users, but it’s jam packed with features including an 8-phase power design, support for up to 128GB of memory, 4-way SLI/CF support and solid build quality that does make sense for some users. If you are looking for a themed build and have your eyes on a few GTX970-980TI FTWs with a nice Supernova G2 then simply look no further. EDIT: EVGA has updated its lineup and has now released the FTW K model which comes with M.2 as well as other improvements and is priced lower. We recommend you pick that board up at this time.